We serve! Your service club is playing host to a big event. 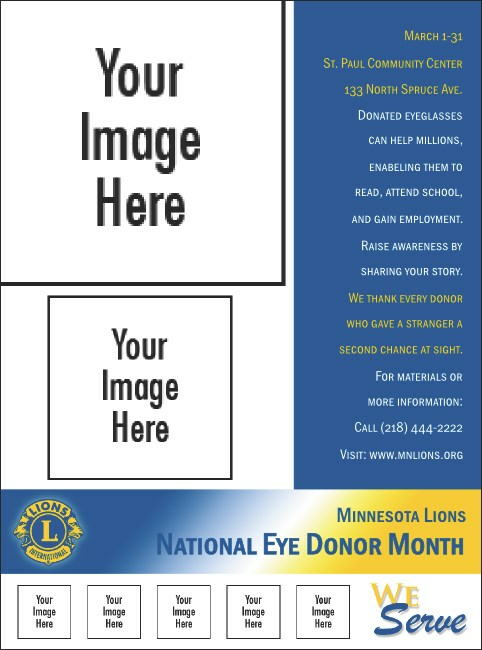 Let the world know with the Lion's club flyer. Printed in gold and blue, this flyer is highly customizable with two big and five small spaces for your images. Discover more great designs in the gallery at TicketPrinting.com.